Below you fill find all funeral homes and cemeteries in or near Sonora. Sonora is also known as: Tuolumne County / Sonora city. Zip codes in the city: 95370, 95373. Tuolumne County funeral flowers can be purchased from one of the local funeral shops we partner with. Sonora has been featured in films like: Three Wishes (1995), Back to the Future Part III (1990), The Brothers (2001), Dirty Mary, and Crazy Larry (1974). Some of the notable people born here have been: Josh Parry (american football player), Mike Kelley (american football player), Phil Coke (baseball player), , Katie Stuart (actor and singer-songwriter), Francis Rocco Prestia (bassist), and Erin O'Brien (actor). Not to be confused with Sonoma, California.Sonora is the county seat of Tuolumne County, California. The city population was 4,903 during the 2010 Census, up from 4,423 during the 2000 Census. 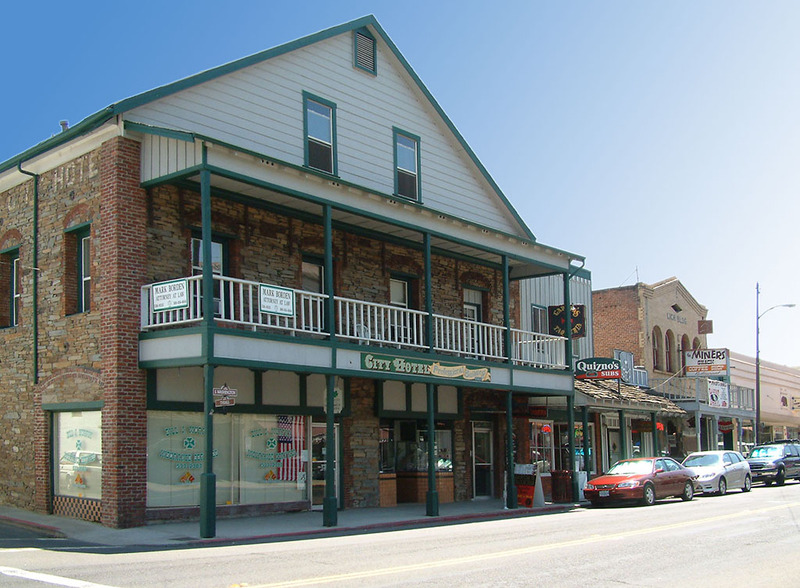 Sonora is the only incorporated community in Tuolumne County. It was reported by Orange County Register on March 21st, 2019 that Timothy Sean Gallagher perished in Sonora, California. Gallagher was 58 years old. Send flowers to express your sorrow and honor Timothy Sean's life. It was reported by The Californian on February 22nd, 2017 that Carl Maggio died in Sonora, California. Maggio was 87 years old. Send flowers to express your sorrow and honor Carl's life. It was revealed by Mt Shasta Herald on February 8th, 2017 that George T Jr Warrick passed on in Sonora, California. Warrick was 76 years old. Send flowers to share your condolences and honor George T Jr's life. It was disclosed by Monterey Herald on December 15th, 2016 that Victor "Mario" Salas passed on in Sonora, California. Salas was 70 years old. Send flowers to express your sympathy and honor Victor "Mario"'s life. It was reported by Texarkana Gazette on October 14th, 2016 that Gayle Rinehart perished in Texarkana, Texas. Rinehart was 76 years old and was born in Sonora, CA. Send flowers to express your sorrow and honor Gayle's life. It was revealed by The Chronicle on June 20th, 2016 that Floyd Vernon Carne passed away in Winlock, Washington. Carne was 68 years old and was born in Sonora, CA. Send flowers to express your sympathy and honor Floyd Vernon's life. It was disclosed by The Chronicle on June 20th, 2016 that Floyd Vernon Carne passed on in Winlock, Washington. Carne was 68 years old and was born in Sonora, CA. Send flowers to share your condolences and honor Floyd Vernon's life. It was written by San Mateo County Times on January 31st, 2016 that Larry J Dobbs perished in Sonora, California. Dobbs was 81 years old and was born in St Louis, OK. Send flowers to express your sorrow and honor Larry J's life. It was reported by Monterey Herald on January 12th, 2016 that Lois Lamar (Emery) died in Sonora, California. Ms. Lamar was 87 years old. Send flowers to express your sympathy and honor Lois's life. It was disclosed by San Mateo County Times on January 10th, 2016 that John F Kraus died in Sonora, California. Send flowers to express your sorrow and honor John F's life. As of the 2000 census, the city population was 4,423. Sonora is the only Municipal corporation community in Tuolumne County. Founded by Mexican miners during the California Gold Rush (to remind them of the state of Sonora, Mexico), Sonora still echoes some of its history through preserved architecture. Sonora is the county seat of Tuolumne County, California. The journal of William Perkins offers an account of Sonora at the height of the gold rush. . The official website for the city of Sonora is http://www.sonoraca.com. Wilson, Jeff - Terzich & Wilson Funeral Home, Sonora, CA : Reviews and maps - Yahoo! Local, 209.532.3131. Get Ratings, Reviews, Photos and more on Yahoo! Local. Find a Funeral Home inStrawberry, California CA to provide the caring burial and ceremonial services your family deserves. We work with local florists and flower shops to offer same day delivery. You will find budget sympathy flowers in Sonora here. Our funeral flowers are cheap in price but not in value.